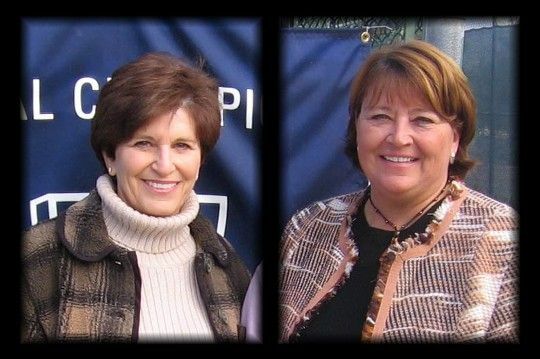 USTA Central Arizona is proud to announce that Barbara Anshell and Sally Grabham will be inducted into the 2008 Hall of Fame. Their work on behalf of tennis and USTA Central Arizona is legendary. They have run one of the finest national tournaments on the country's junior tournament for many years, when it was first called the Fiesta Bowl, and in recent years the Winter Nationals for 16's and 18's. Barbara and Sally are held in high esteem both locally and nationally for their long-term commitment and on-going excellence. They are the quintessential tennis ambassadors. Their efforts have yielded hundreds of thousands of dollars for USTA Central Arizona, as well as an equal number of friends for the sport and the work of the association. They have been faithful and outstanding members of the USTA Central Arizona Board for many years, and have served with joy. They are both filled with life and have shared their boundless enthusiasm unabashedly. They have been honored with past local and sectional awards for both their volunteer and tournament enrichment activities. Congratulations to Barbara and Sally for their well-deserved spot in the USTA Central Arizona Hall of Fame!